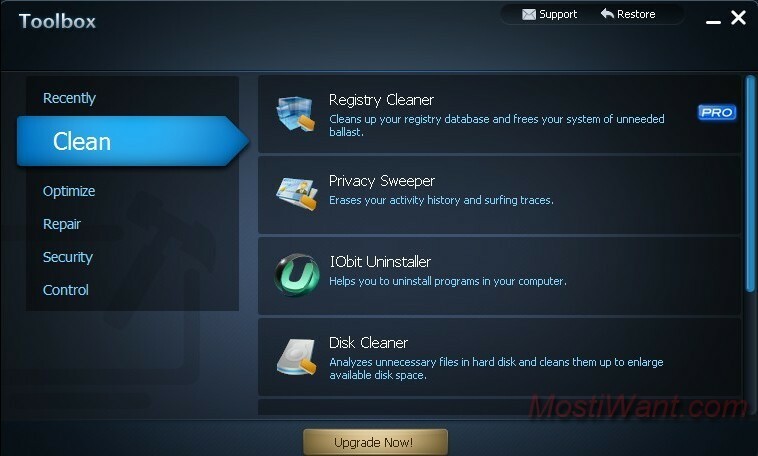 IObit, well-known for its free system utilities software, today released the final version of its flagship product- Advanced SystemCare 4, an all-in-one PC maintenance tool with anti-spyware, privacy protection, performance tune-ups, and system cleaning capabilities. Adopted with IObit’s latest engine and improved program core structure, the new version is capable of delivering more comprehensive and deeper system cleaning, repairing and optimization experience. 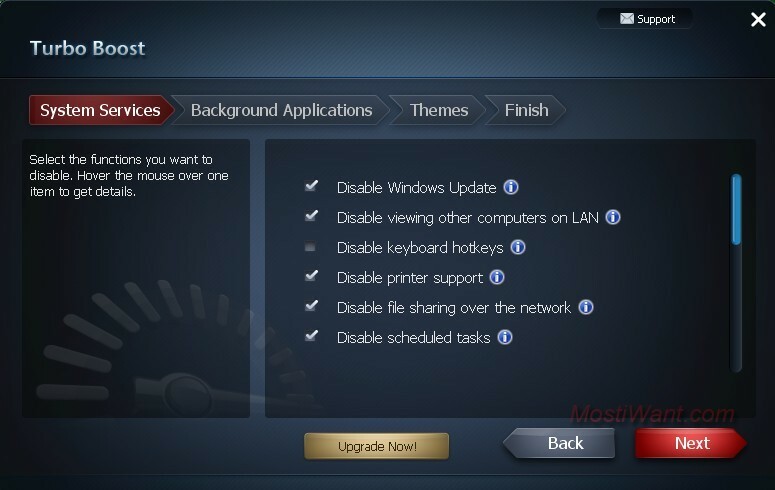 In version 4 the security features are also emphasized, protecting your PC from more security threats and privacy compromises. 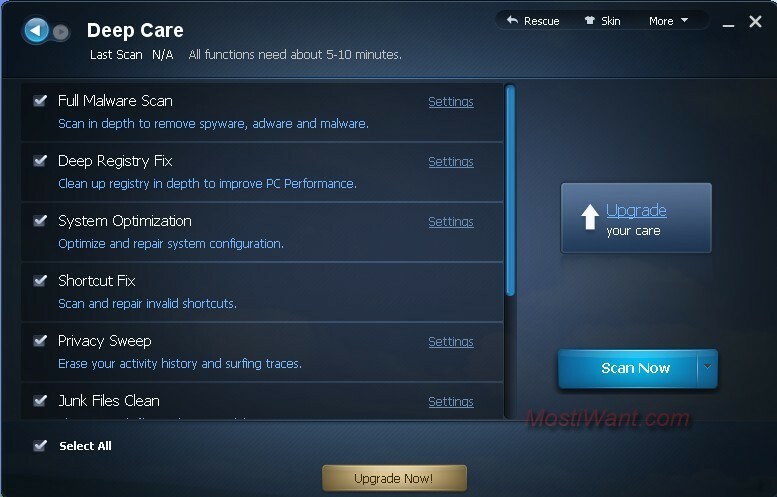 The program’s Quick Care option performs a quick-fire scan of five key areas of your computer: malware, Registry, shortcuts, privacy sweeper and junk files. It’s no accident that to make the process even faster, with even less of a need for user input, that you can configure it to run on system start-up. 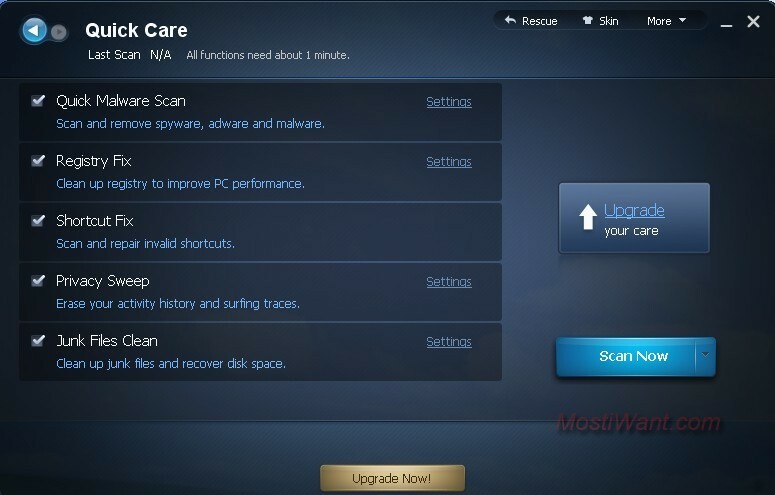 If you want to go further, select Deep Care instead – this performs the same five scans as Quick Care, albeit going deeper (so you get a full malware scan and deep Registry clean), plus adds another five for good measure: a deeper Registry clean, disk defragmenting, a “Windows vulnerability fix” and a “Passive Defense” that don’t readily define what they do, and a system optimization option with several optimization presets. Want a quick-fire speed boost? 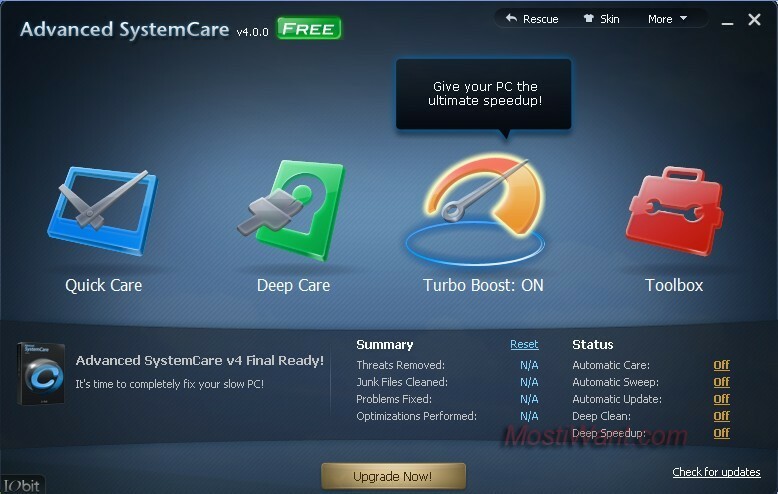 Try switching Turbo Boost on – With the enhanced “Turbo Boost” module, Advanced SystemCare 4 is now capable of detecting and shutting more unnecessary background processes and services, and releasing more RAM for PC’s ultimate speed. 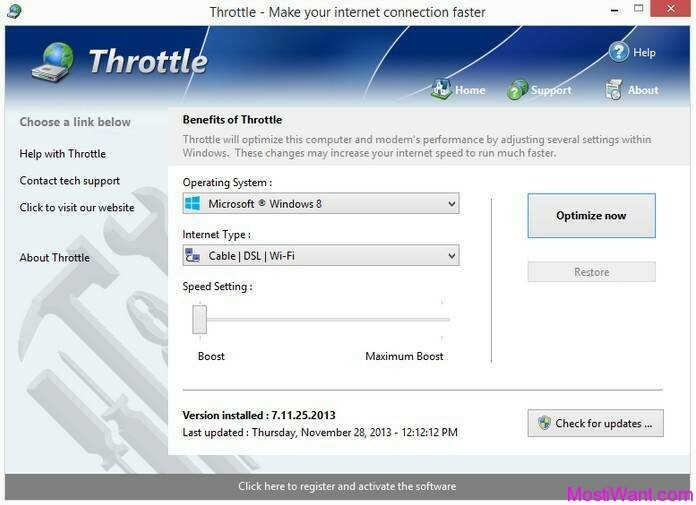 Turbo Boost will disable some core system services in an attempt to accelerate your computer’s performance. Some of these include Windows Update and keyboard hot keys, so make sure not to switch off features you might actually use. 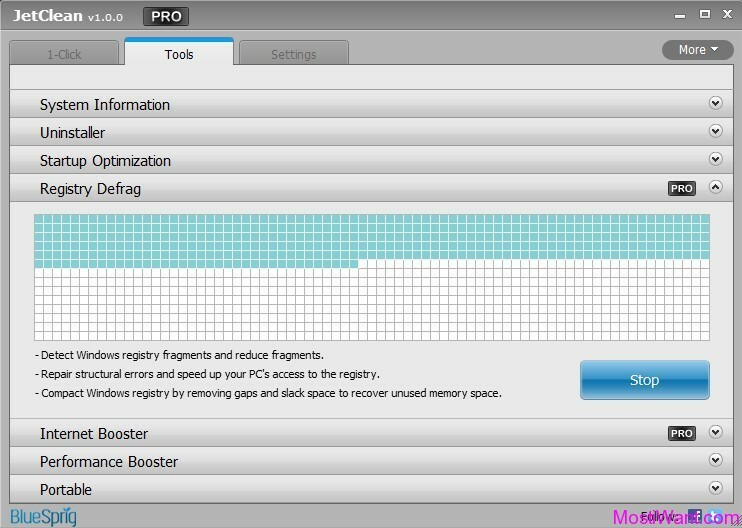 The Utilities component of version 3 has been replaced with IOBit Toolbox integration, with the same collection of 20 portable tools for everyday PC maintenance or advanced needs, including tools for system cleaning, optimizing and repairing, tools for security enhancement, and tools for fully control over the system. 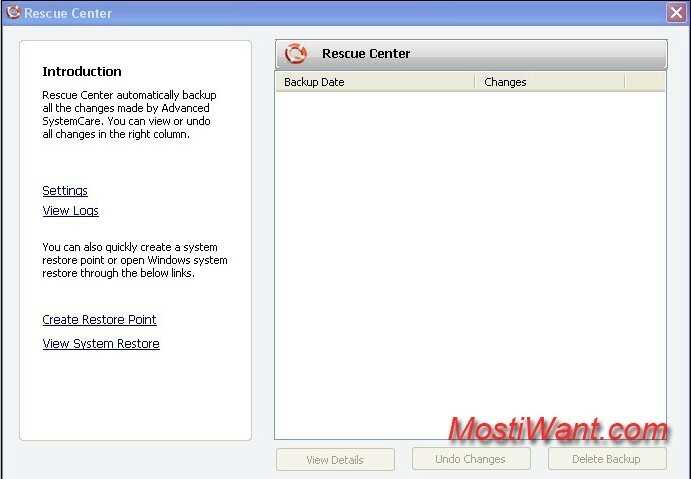 Advanced SystemCare 4 also includes a Rescue point creation tool, so it’s not hard to undo changes if you’ve had the foresight to make a rescue point (Creating a System Restore Point before trying out a new software or a tweak is always recommended). 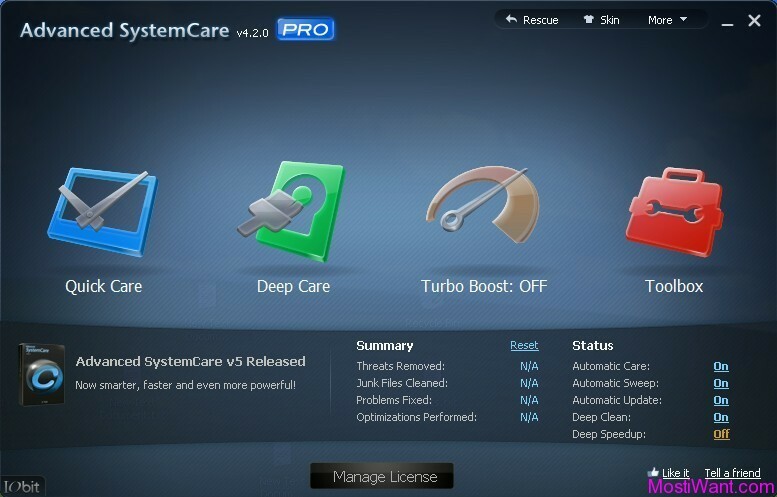 IObit Advanced SystemCare 4 is available as a free and a paid version. The free version contains all the basic functionality you need, while the the paid-for Pro version includes more features such as deeper scanning, automatic optimisation and access to 10 different user interface themes. Once you’ve upgraded, just enter the license key to unlock the program’s full range of features. IObit Advanced SystemCare 4 Supports Windows 7, Vista, XP and 2000.